This recipe is super nostalgic for me. Fall is by far my favorite season and Halloween is in the top 3 of my favorite holidays. 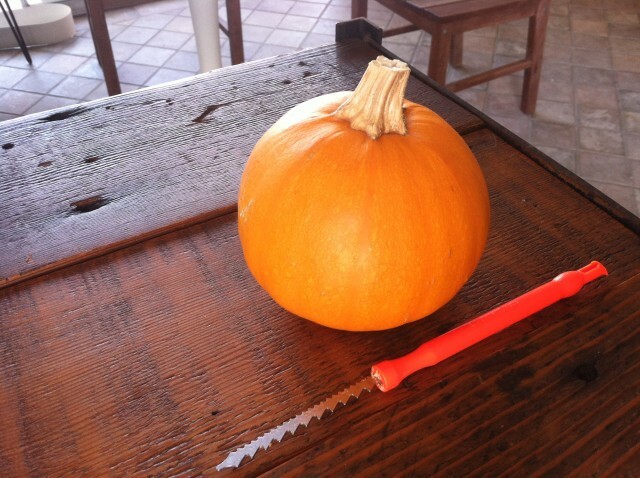 I have such fond memories of carving pumpkins with my family at the kitchen table. We’d get those creative juices flowing and talk about our days and what was going on in our lives. We bonded through pumpkins. Now that I’m far away from my family and don’t have any kids to share those moments with, I decided to incorporate pumpkins and what else, food, in a fun, healthy and decedent way. And because pumpkin is low in calories and loaded with Vitamin A and fiber, I’m always looking for ways to throw the nutritious gourd into recipes. 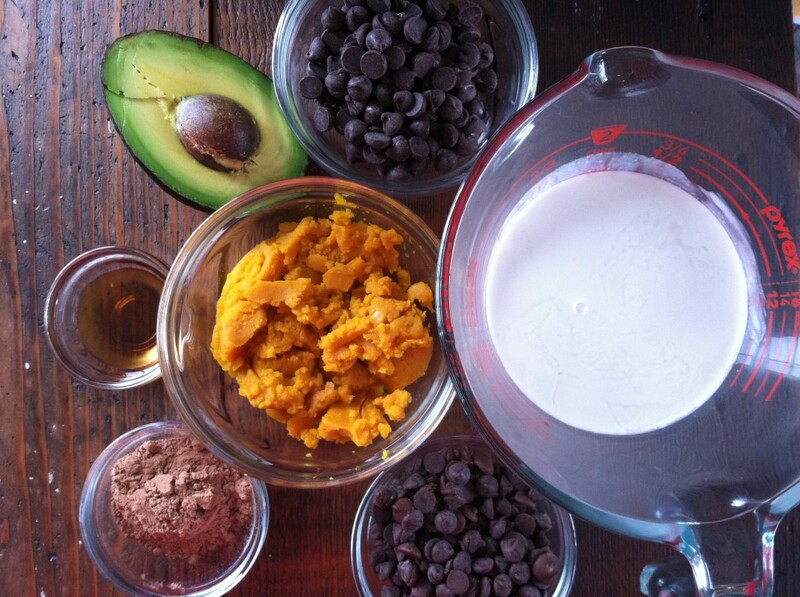 So I “pumped-up” this scrumptious chocolate pudding and added carob chips. Carob chips are also nostalgic for me because used to eat them as a kid with my Grandma J.J. and any chance to take me back to 1985- I take. 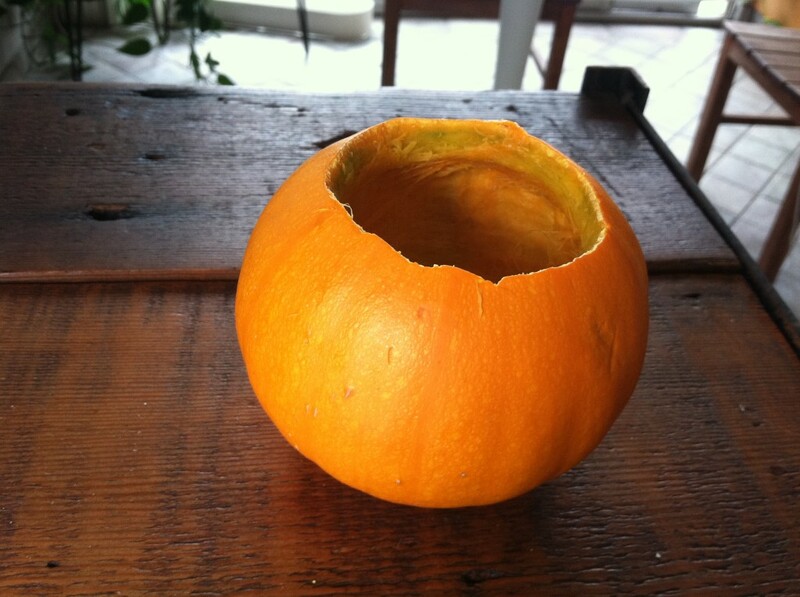 To begin, carefully carve out the top of the pumpkin/s, making sure the opening is wide enough to use as a bowl. Or you have the option of doing what I did, and carve out a small opening from the top and then one more wide opening to create a “swirly” effect once we put the top back on. It’s up to you. 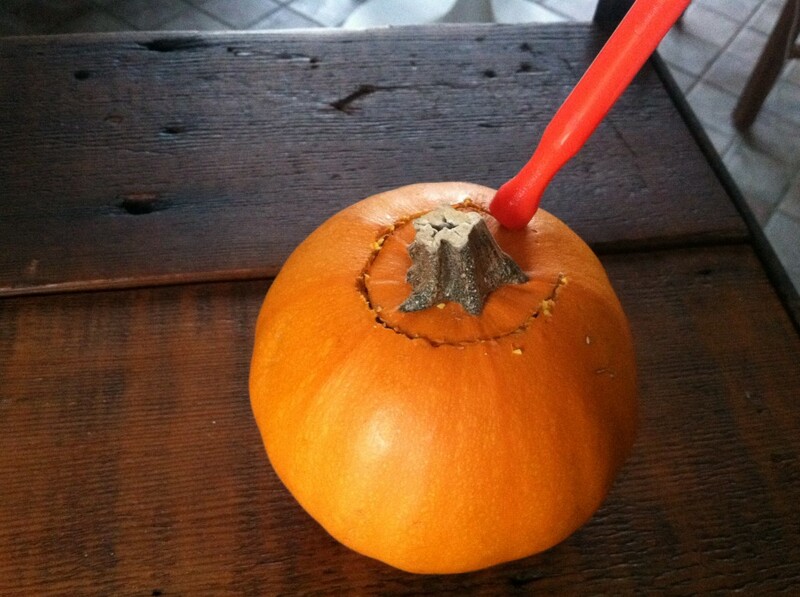 Next, clean out the pumpkin/s using a pumpkin scraper or your hands/nails. Make sure to save the seeds to toast later for a snack! 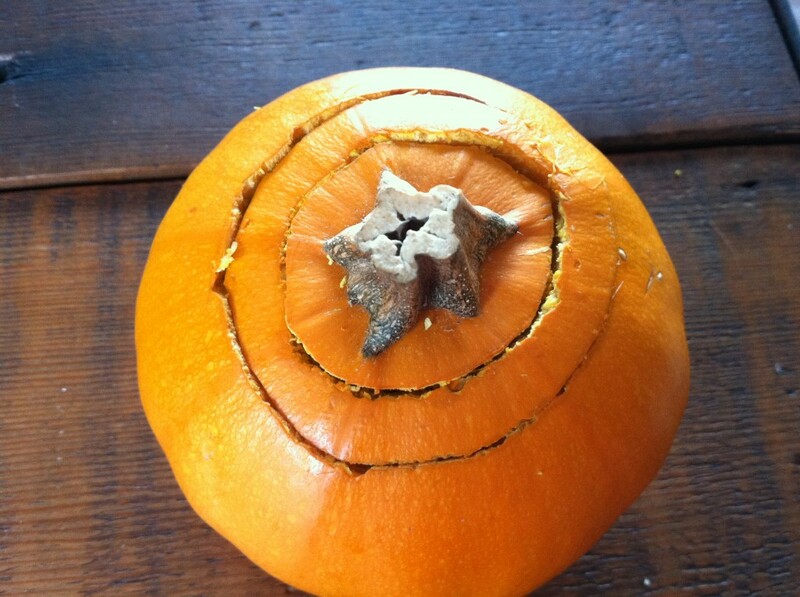 Once the pumpkin is completely cleaned out and all the seeds are removed, set aside along with the top of the pumpkin. In a food processor or blender combine all remaining ingredients, except pecans and carving tools 😉 Blend 1-2 minutes or until all the ingredients are completely smooth. 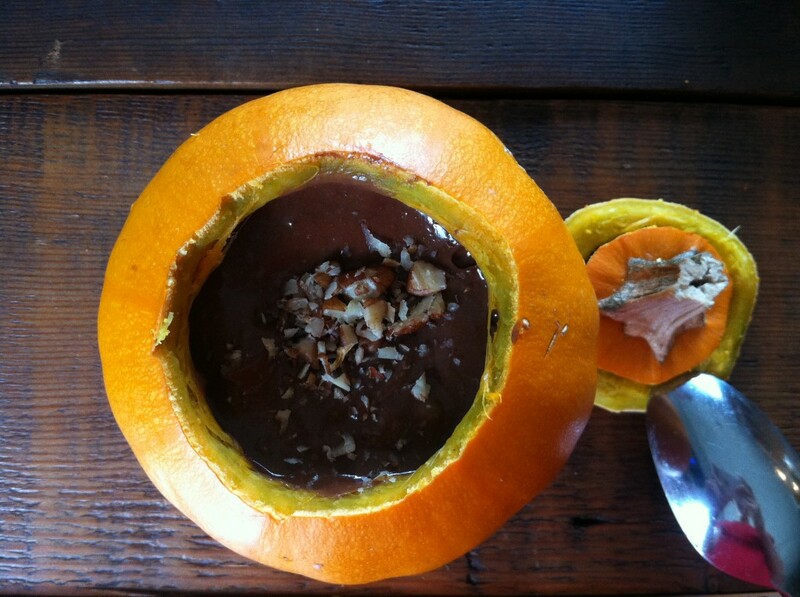 Pour pudding into the pumpkin/s which acts as a bowl. 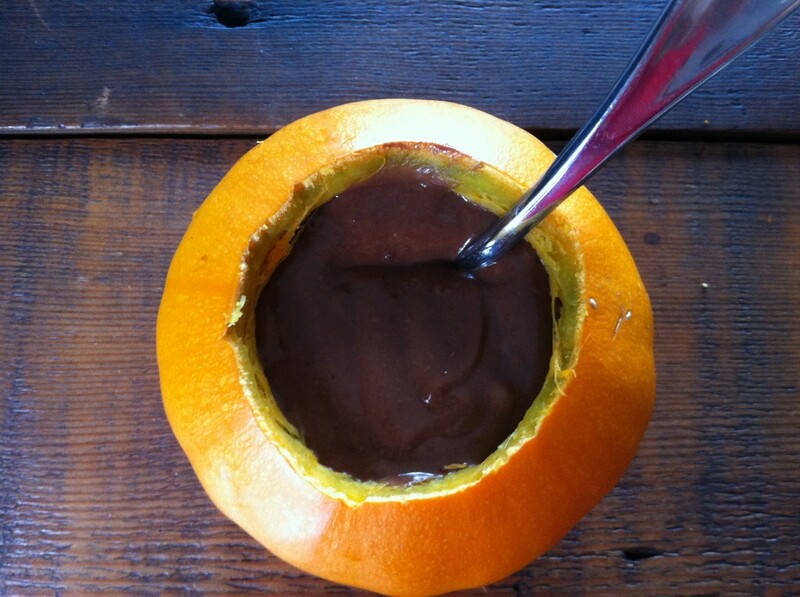 If you prefer chilled pudding, feel free to chill it before pouring it into the pumpkin. 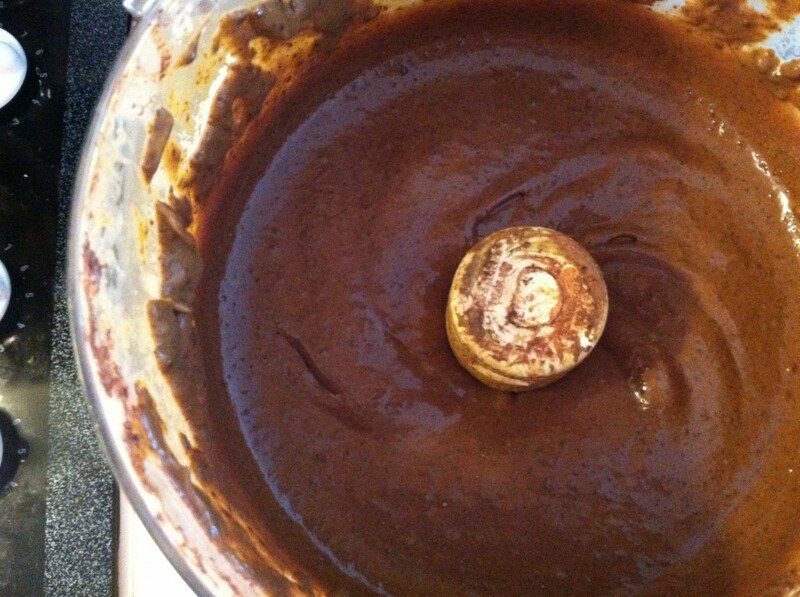 Once it’s chilled it acts more like a ganache. 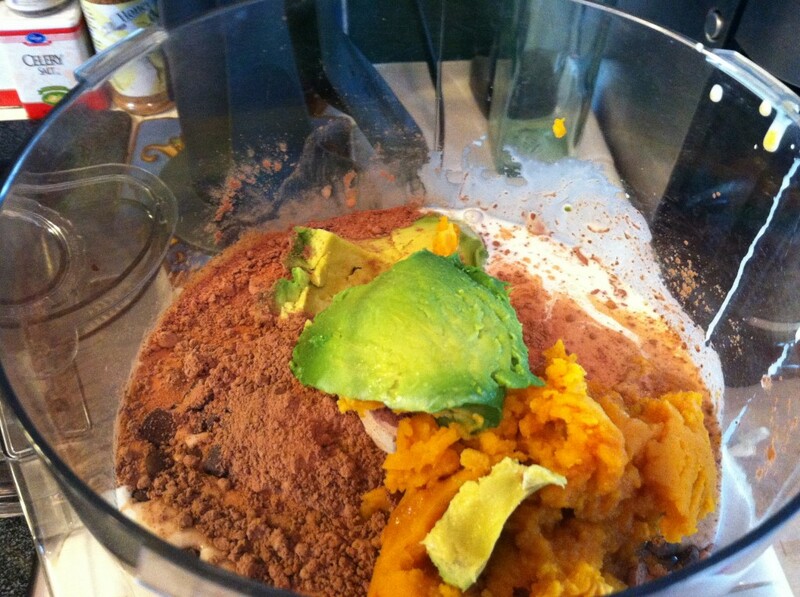 Either way it’s delicious and tastes so sinful even though it’s made with healthy, whole ingredients. My “Pumped-Up” Chocolate Pudding will be a hit at any party or with your toughest critics– your kids. And you don’t have to feel bad about it because there’s fiber, antioxidants, Vitamin A, heart-healthy fats, and so much more.